Shipping Charge to Re-Ship Packages that have been returned to us. This listing is to correct a shipping error made from a previous purchase. Please note that every effort is given when shipping your purchase to get your packages to you asap, but we know that sometimes mistakes happen. 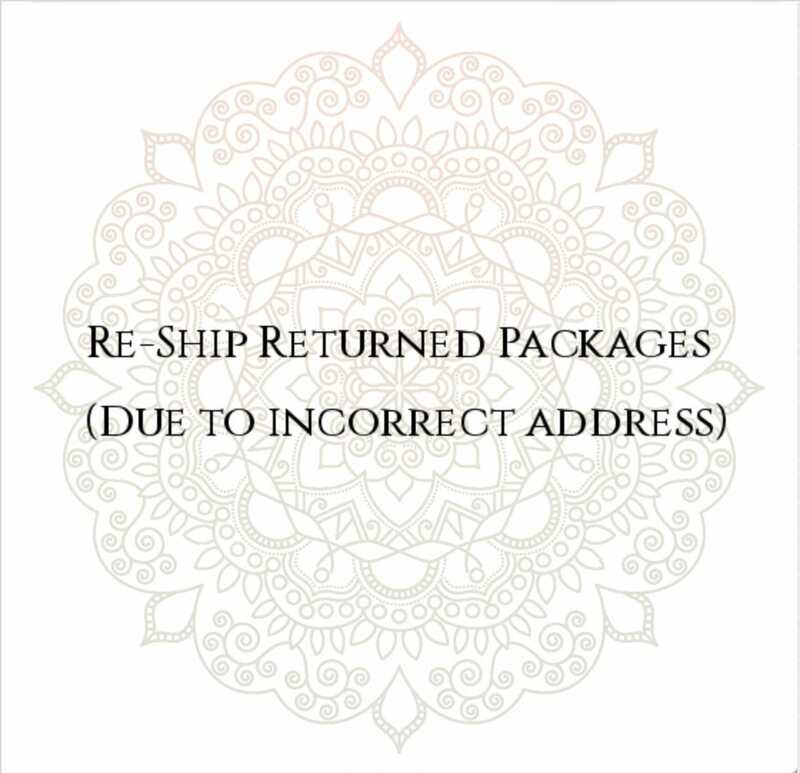 Once it is confirmed that a package has been returned to us, please use this listing to check out and enter the corrected/intended shipping address.